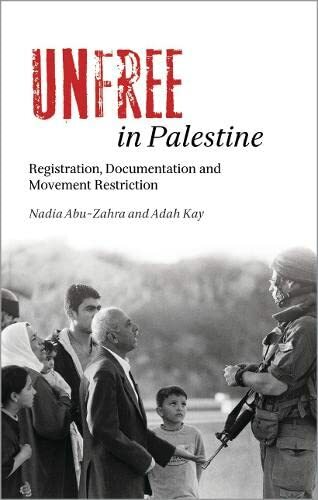 Unfree In Palestine: Registration, Documentation And Movement Restriction (Hb): 9780745325286 Hardcover - LIMEROCK BOOKS INC.
Based on first-hand accounts and extensive fieldwork, <i>Unfree in Palestine</i> reveals the role played by identity documents in Israel&#x2019;s apartheid policies towards the Palestinians, from the red passes of the 1950s to the orange, green and blue passes of today.<br /><br />The authors chronicle how millions of Palestinians have been denationalised through the bureaucratic tools of census, population registration, blacklisting and a discriminatory legal framework. They show how identity documents are used by Israel as a means of coercion, extortion, humiliation and informant recruitment. Movement restrictions tied to IDs and population registers threaten Palestinian livelihoods, freedom of movement and access to basic services such as health and education.<br /><br /><i>Unfree in Palestine</i> is a masterful expose of the web of bureaucracy used by Israel to deprive the Palestinians of basic rights and freedoms, and calls for international justice and inclusive security in place of discrimination and division.